An innovative tile series that employs Kohler’s recycled dry cull as its medium, transforming the waste into a responsive tile body. This bespoke collection was one of the initatives spun from Kohler’s Innovation for Good program. After the clay is pressed, WasteLAB artisans hand-cut each tile, remove excess clay and apply an interactive glaze. 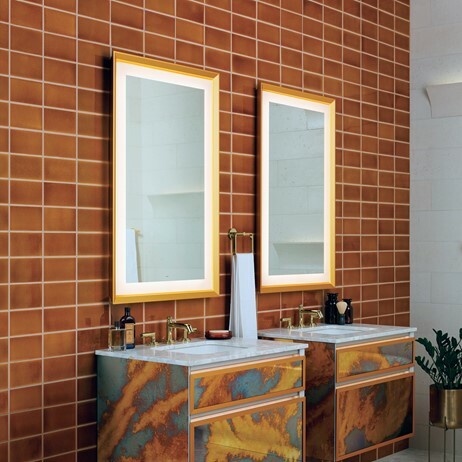 The result is a delicate crackle that is carried across the tile face when fired, producing a chic palette that resonates in deep, rich color. Inspired by the evocative, sun-splashed shades of the Mediterranean, our new ceramic collection, Provençal, joins the MADE by ANN SACKS™ series of tiles handcrafted by the artisans in our Portland, OR Factory. In true Provençal style, these designs reflect the region’s classic simplicity of form and bold color palette. 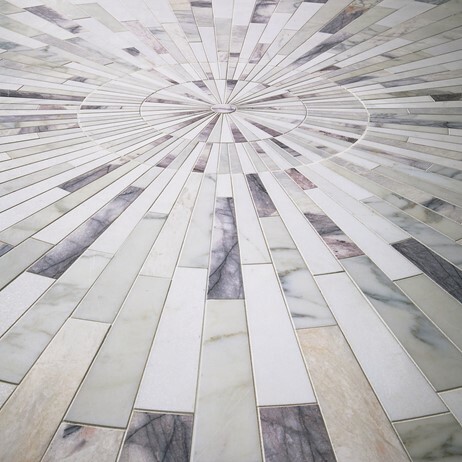 Our collaborations with Kelly Wearstler continue to take dramatic shape in the form of two new marble mosaics. Liaison Obelisque and Liaison Garde brilliantly express her sophisticated style and love of pattern play. Mosaics available in stocked color-ways and customizable in over 70 stone options. 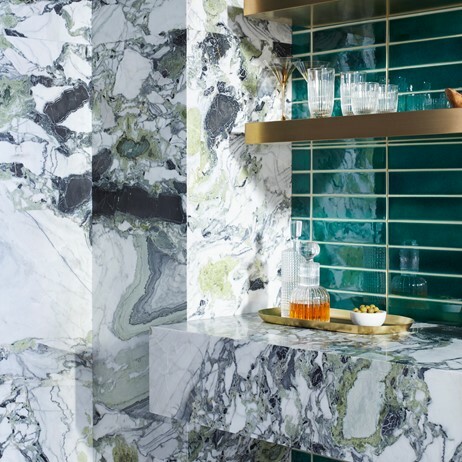 Scala marble, a breathtaking stone in its range of color and veining is unlike anything else currently in the Ann Sacks portfolio. Softly honed, the wealth of color variance moves from deep to grassy greens, slate grey and soft to midnight shades of black, broken by creamy white veining that ebbs, pools and flows throughout the dramatic field resulting in a visual effect that promises showstopping results. From award-winning designer, Itai Bar-On, comes Pas, a new design addition to our handcrafted concrete collection. 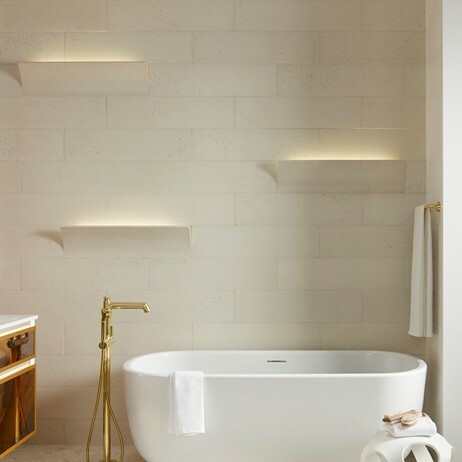 The intriguing three-dimensional tile embodies the simple beauty of sculptural form and can be installed with or without illumination. Our modern interpretation of a 15th Century Italian classic is presented here in new colors, Brulee and Aubergine. 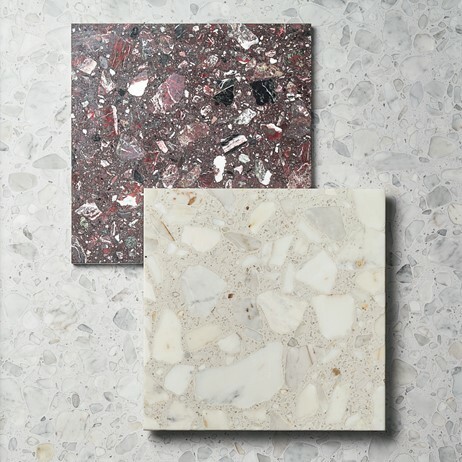 Terrazzo Renata brings the beauty of old Italian terrazzo, which means “terrace” in Italian, into the homes of today. 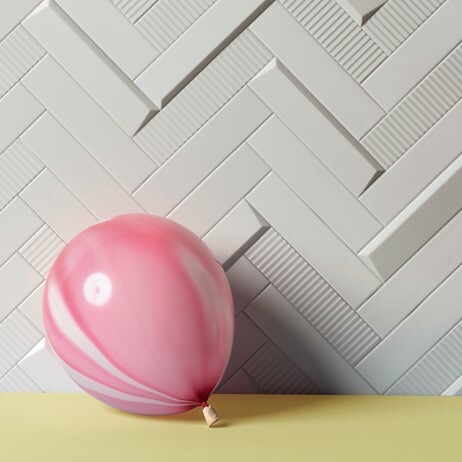 Dimension mixes six different geometric opaque shapes, in terra cotta and white glazes, to create wall spaces that are brought to life by light and shadow. 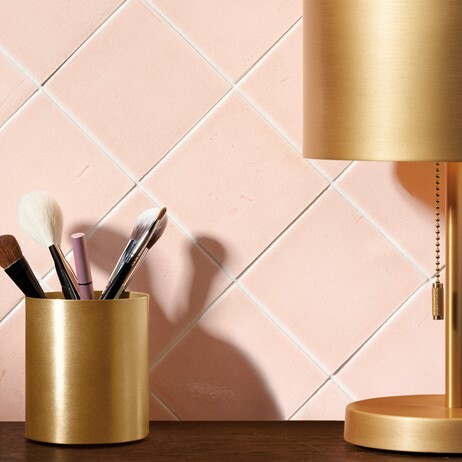 Mix and match designs for more texture and pattern play.